In order to meet the ever rising demand of the textile industry, we ‘Shakti Hosiery Works’ were established in the year 1962. Based in the city of New Delhi, the capital of India, we are engaged in manufacturing and supplying a huge assortment of Fabrics. These products are very popular in the industry for their renowned features and are offered at market leading prices. Being a quality concerned organization, we ensure to follow strict quality control policy throughout the manufacturing process. Our state-of-the-art infrastructure facility enables us to carry out our production process in an efficient manner. We have installed some of the latest and high speed looms in our manufacturing unit. Thus, we are able to deliver flawless range of fabric that meets all the expectations of our clients. We take into account the diverse requirements of different industries and offer suitable range of products. 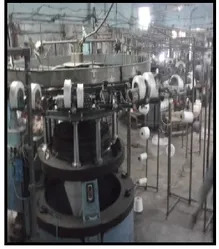 Thus, these products are extensively used in various sectors such as Garment industry, Health care industry, Sports, Furnishing, Medical, Undergarments, Swimwear and Yoga cloths, Grindle Knit, Double Face Jersey, Viscose/Linen, Cotton/ Linen, Poly/ Linen. With the constant support of our research analysts, we are able to offer innovative range of products. The above factors have enabled us to steer ahead of our counterparts in the industry. Company has started making Garments and CPL for Zero Shrinkage for our Garments, such as, Jeggings, Leggings, Joggers, Hoddies, Chamis, Dresses, Basic Tops, Bombers, Polos, Kaftans, Yoga Wear, Crop Tops, Shrugs, Track Suits- Top & Bottoms, Denims/ Elastic Garments, Children Clothings, Bed Covers, Throws, Furnishing Items, Car Body Covers, Water Proofs Jackets, High Fashion Lurex Garments, Gent Pants/Trousers , Stretchable Ladies and Gents Coats/Blazers , Linen T shirts, P K T Shirts , Carpet Covers etc. Our company is able to gain a strong foothold in the industry due to the able guidance and management of Mr. Sumit Gupta(Proprietor). With his high business acumen and wide contact base, we are able to gain good reputation in the domain. Manufacturing & Trading of Fabric Textures. We are blessed with a huge and well-structured infrastructure facility. 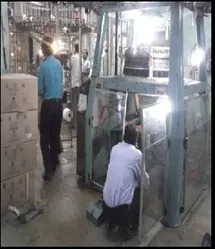 It is further divided into different units to carry out our manufacturing operations in a systematic manner. We have developed a fully equipped manufacturing department. It is installed with latest and high-end looms and other machinery. These are regularly maintained by our highly experienced and efficient engineers and technical staff. The constant research and development activities enable us to adopt innovative techniques to offer improvised range of products. We are manufacturere of Flyknit Shoes Upper, Knitted fly knit shoe upper ,Fly Knit Upper Material , Fly Knit Laminated ,Shoes Upper Fly Knit Cloth , Shoe Knits flyknit Fabric ,Shoe Upper , Shoe Fly Knit Upper , Footwear Fabric , Ladies Shoe Upper , Flyknit Shoe Upper , Flyknit Upper , Fly Knit Shoes Upper, Flyknit Sports Shoes upper , Shoes Fur Knitted Fabric and all Fabric & Garments etc .